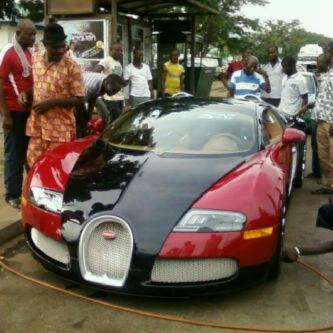 One of the most expensive luxury cars in the world, Bugatti Veyron has been spotted in Abuja once again. The wonder on wheels attracted passers by as the owner/driver tries to inflate the tires. Just this last year, another one was spotted on the streets of Abuja. 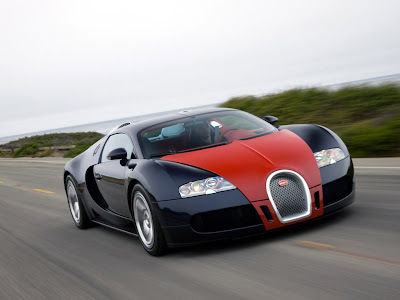 Bugatti Veyron costs a whopping N320 Million and for maintenance, it has to be flown abroad. Plenty money dey for this country o! Dis Najia bigmen e b like say na money d control them o foulish ast waste of money. No one gives the f**k about you once you are poor. thats why you need to put your brains to work and start something for yourself coz no one is going to do it for you. Why not invest this in a company and creat jobs for people and they will be praying for you.nigeria mentality. does this one come with an automatic driver? abi no be human being dey drive am? abeg leave us alone with worldly things that will soon fade away! our government is wasting money…. I want to belong ooooooooh. Who no say money gd make him talke. Dis is too much, some people never see GARI eat. Evidence of bad government,how can one person spend such money for just a car and people’s are suffering for food to eat.may God help nigeria and so called leader’s. Silly! Once you’re dead, All would be in the grave with you…Incorrect ‘lectual…. the owner of that car is very stupid,I think the government should question him or her,,to know where the money came from…my ppl when Naija go beta? If i dey there, i go smash dat car to pieces… F**king looters!! !, i**otsss!!! This is Stupidity, Is he driving the car to the kingdom of God. Some people are struggling to survive, some don’t even have hope to eat breakfast talk of lunch or supper. 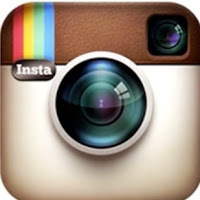 Try and help the poors, provide employment for graduates. don’t waste it on unnecessary things of the world. Vanity upon Vanity. Honestly, most of you need to shut up and think. You’re getting upset because an individual owns a bugatti? It’s not your money. The price of the bugatti is obviously nothing to them. Get up and do something. Dream a little, ask God to direct you and walk. FOR CRYING OUT LOUD NIGERIA DOESNT EVEN HAVE 5% OF THE FERRARIS OWNED IN THE STATE OT LOS ANGELES, and America is pretty developed. IF YOU YOU WANT TO SEE NIGERIA DEVELOP DO SOMETHING AND STOP BEING LITTLE DREAMERS, make some money, and let’s see if you’ll help develop our country. I’m 21 and you all sound like a bunch of immature kids to me. Imagine saying the owner of the car is very stupid…..that doesn’t make sense at all. Another saying of he was there he will smash the car to pieces. If dem born you well smash am now!!!! SHUT UP, and stop being little minded people. Do you know how many top position company holders in Nigeria have the sort of money to buy one of this without feeling like they’ve gone broke? ALOT!! If you want change, MAKE CHANGE!!! Omo. Arghhhhhhhh haterz uh people are mad so some one will suffer and make his money and uh guys will stay here and talk nonsense, na ur money oor na him moni which one make una behave.una self ooo ….